Update – Curiously, the sign has been removed. 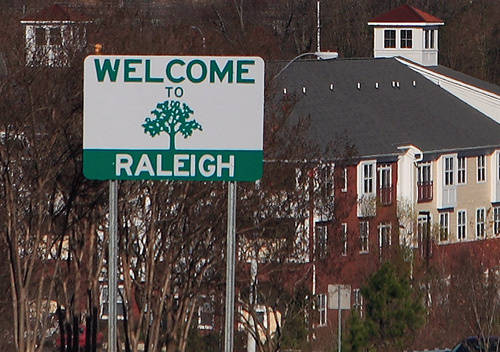 A new sign has been placed on South Saunders Street as you enter downtown Raleigh from the south, erected on December 4th, 2006. 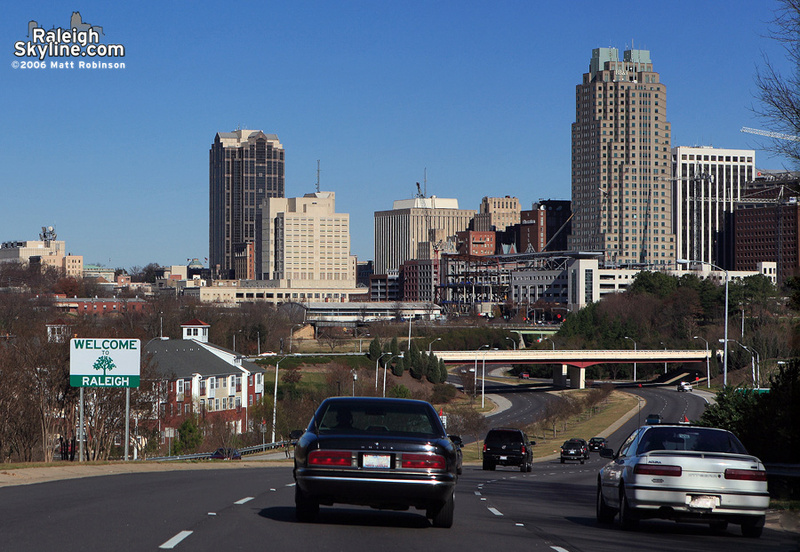 The sign is visible immediately before the downtown buildings are as you round the slight turn on South Saunders, giving a “grand entrance” feeling to it. Personally, I think the sign could have been designed better, as it is not the most aesthetically pleasing sign I’ve ever seen. And due to its location, I now have to pull off to the side of the road further down to take photos. Oh well.